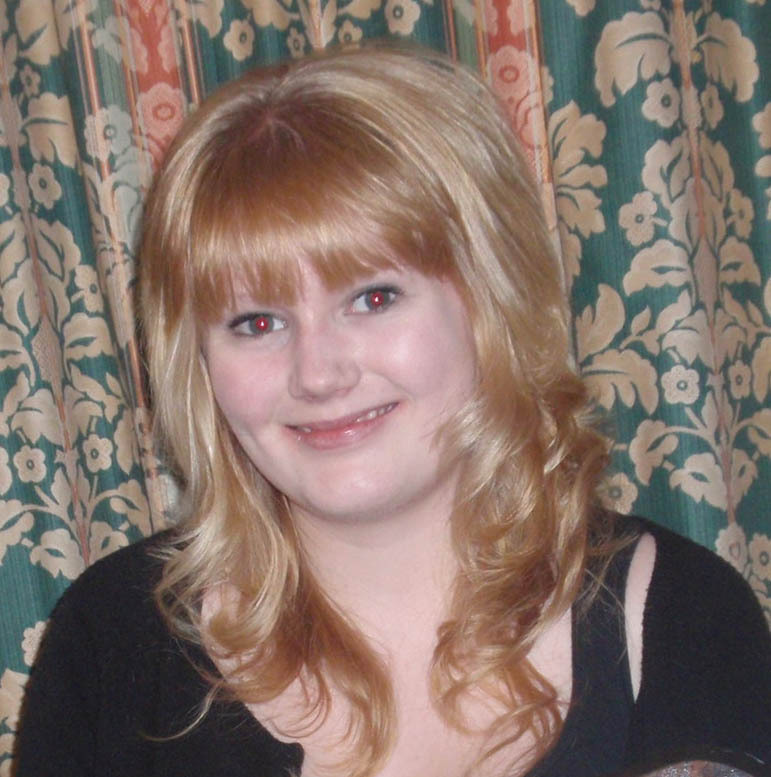 Ponteland Lions run an annual competition for young people who have made an original contribution to the community. This year 16 year old Hannah Seeber was the winner for her input into setting up a new web site and her work as a youth sports leader. Part of her award was £500 to spend on a project of her choosing. Very aware of the gap between the young and the older generations she wanted to do something to bridge this divide. But what? Athol House, on Callerton Lane, is sheltered accommodation for more than 30 residents, including Mary Short, who has worked hard to keep the extensive gardens colourful and weeded. 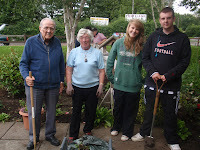 More input was needed but very few residents are able to do much in the garden. Hannah decided, after consultations with the Lions' president, with Mary and with help from her father, to design and plant up the area around the patio to give all year round colour in that part of the garden and make it easy to maintain. Hannah's father is a garden designer so she had a head start! 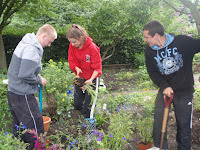 Friends from the Youth Club, directed by Angus Ramlal, joined Hannah and her Dad and one or two able residents from Athol House in early August for a planting day and worked hard to complete Hannah's design in one day. Keep a watch on this garden as you pass into the Sport's Centre and admire the efforts of all. Mary Short said it was marvellous! The young people helping Hannah were Georgina Shipley, Lucy Hay, Adam Potter, Michael Crisp, Sean Campbell, Andrew Christie and John Freeman. Well done!